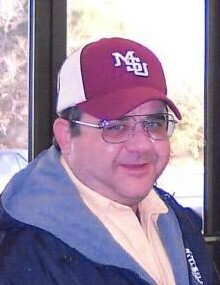 Randy D. "Dillon" Pope, 61, of Independence, MS passed away April 13, 2019 at his residence. He worked for the Tate County Sheriff's Department for 23 years and was a volunteer fire fighter for the Independence Fire Department for 25 years. He loved fishing, gardening and music. He was preceded in death by his parents, Wilbert and Peggy Pope and sister, Gale Shearer. He is survived by his sister, Lisa Criswell (Chris) of Independence, MS; nephew, Josh Criswell (Lindsey) of Senatobia, MS; nieces, Melanie Benton of Olive Branch, MS and Katelyn Weatherly (Cody) of Independence, MS; great nephews, Jon Ferguson, Hunter Criswell and Tyler Criswell; and great nieces, Anna Ferguson, Leslie Ferguson, Alana Weatherly and Alissa Weatherly. He was a member of Mt. Zion Baptist Church. Memorials may be sent to St. Jude Children's Research Hospital, the Tate County Sheriff's Department or Le Bonheur Children's Hospital.